When you’ve got a craving for potato chips, if can often be tough to say no. And unfortunately, potato chips are often greasy and high in sodium, and eating too many chips can really derail a diet. So, if you’re searching for a healthy snack that’s similar to a crunchy potato chip, then you should consider making some apple-cheddar crisps. Our recipe makes four servings of tasty apple chips—much like a potato chip, an apple chip can have a nice salty crunch to it, but because it’s made from fruit it’s much healthier for you. Apple crisps also store well, so you can make yourself a bag of apple crisps for later in the week and they’ll still taste fresh! If you think your friends and family might enjoy this recipe, then make sure to share it with them on Facebook, Pinterest, Instagram and Twitter. Ready to try our apple crisps recipe? 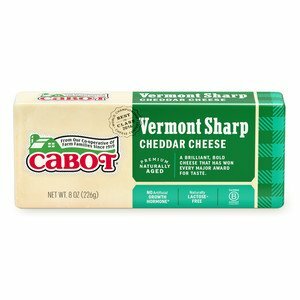 Regarding ingredients, you’ll need four Fuji, Granny Smith, Gala or other brands of apples, along with four ounces of Cabot Sharp Cheddar Cheese and some King Arthur all-purpose flour. To make the chips, you’ll start by preheating the oven to 200 degrees Fahrenheit. Then wash the apple and slice it until it’s extremely thin—using a slicer or mandolin might work best. Then slice some cheddar cheese (thinly) and place your cheese on each apple slice. Cover one side of an apple slice with flour and place that slice, flour side down, on the other piece with cheese. Press down to firmly lock the cheese between the two apple slices. Repeat until you use up all the cheese and apples. Then bake your apples for one hour in the oven. Turn them over after the hour has passed, and then bake for another hour. Let them cool before snacking. Can’t get enough cheddar cheese recipes? 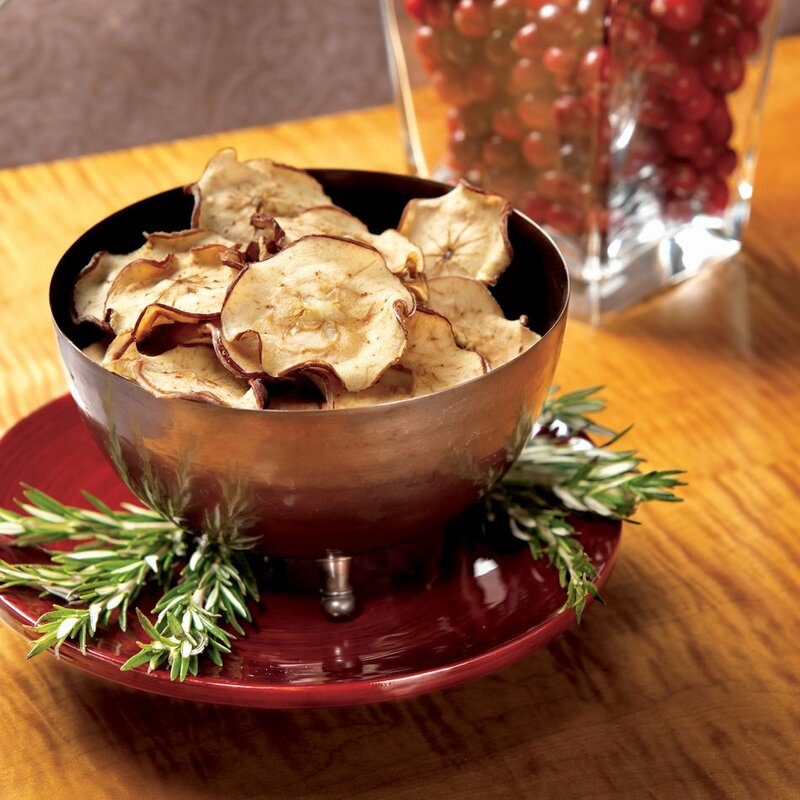 Then you’ll have to try this recipe for clothbound cheddar cheese crisps. This tasty snack features baked cheddar and Tabasco sauce, so it offers up some unique flavors that are truly one-of-a-kind. 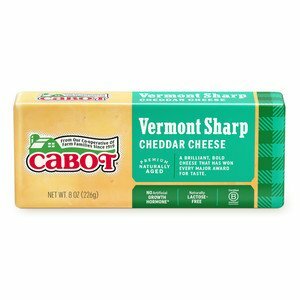 Cabot is a cooperative of 800 farm families, and we work hard to ensure that all of our dairy products—ranging from our cheddar cheeses to cultured dairy products—are made using only the finest ingredients. We hope you enjoyed our apple crisps recipe, and we’d love to hear your thoughts about the dish. If you enjoyed it, or if you have any suggestions on how we can improve the recipe, let us know—please rate and review it whenever you have the chance. WASH apples and slice into paper-thin (1/16 inch) rounds with mandoline or slicer. slice cheddar thinly with cheese slicer. PLACE cheddar slice on apple slice; coat one side of second apple slice with flour and lay on top of cheese, flour side down. Press down on edges to seal and to encase cheese. BAKE on nonstick baking sheet for one hour; turn slices over and bake for approximately one hour more or until crisp. Let cool completely. *The chips can be made several days in advance and stored in an airtight container at room temperature. If you have a small evergreen tree as a centerpiece, hang the apple chips on the tree as ornaments!